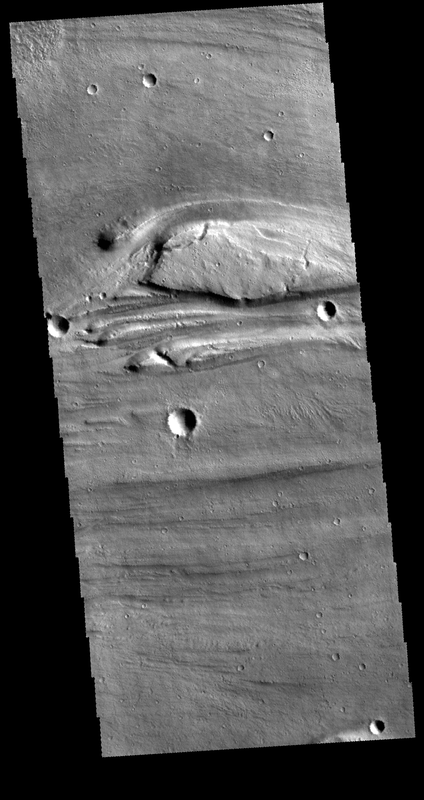 This VIS image shows a very small portion of Kasei Valles. There are several streamlined islands near the center of the image. The wider part of the island is to the left and the narrowing of the 'tail' it to the right, indicating that the flow of the liquid that formed these islands ran from west to east. 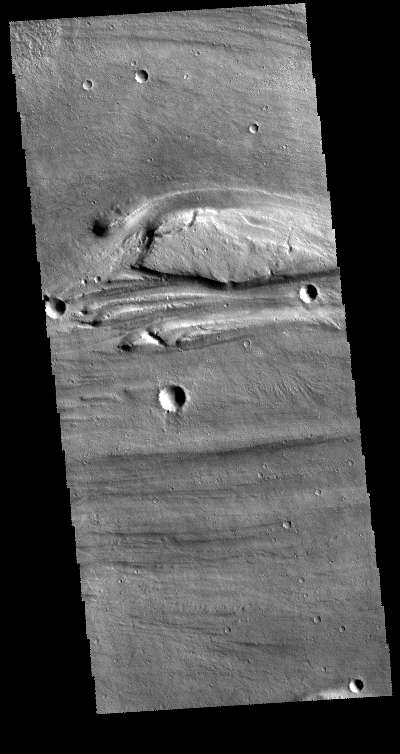 These features are located near the region where Kasei Valles empties into Chryse Planitia.